Breakfast Omelette Egg Cups are perfect for Easter or Mother’s Day breakfast or brunch. They are easily customizable and deliciously satisfying with puff pastry and your favorite fixings! Hi Everyone, it’s that time of the month again when I share a teaser from my most recent guest post on SoFabFood! I hope you are all having a lovely Easter holiday, if you celebrate Easter. 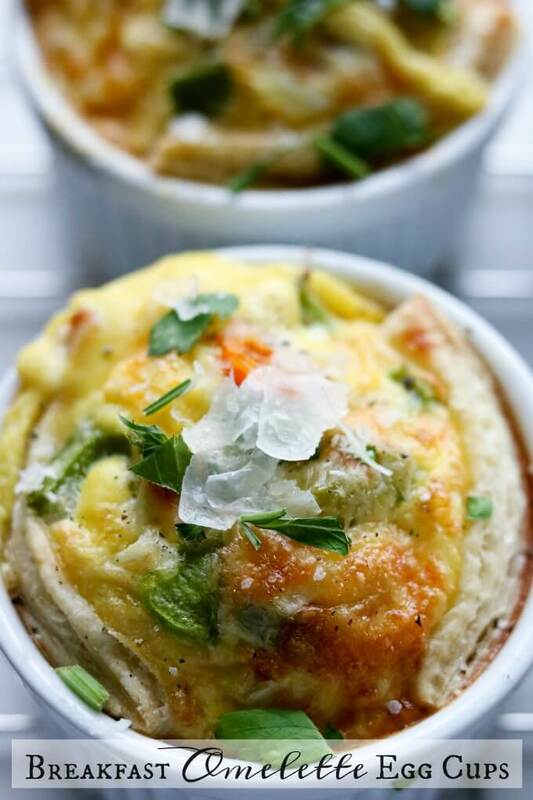 This Breakfast Omelette Egg Cups recipe would be so perfect for an Easter or Mother’s Day brunch recipe. All you need is some frozen (thawed) puff pastry that you can get at your grocery store and customize it with your favorite omelette fixings! I also used 6 white porcelain ramekins like these Prepworks by Progressive Porcelain Stacking Ramekins – Set of 6 but you can use a 6-cup muffin tin too! Breakfast Omelette Egg Cups are a wonderful breakfast or brunch option that can be customized in any number of ways and are ready in less than 20 minutes! You need to make these for your Mother’s Day brunch! If you want to see all the posts that I have done on SoFabFood, here are all the teasers on Life’s Little Sweets. What’s your favorite brunch recipe! If you like this Breakfast Omelette Egg Cups recipe, check out our Recipes page.